The Making Of… was part of a public radio experiment called Localore–10 independent producers collaborating with 10 public radio stations around the nation, creating some of the new public radio programming of the future. During this year long collaboration we explored The Making of the Submerged Turntable, The Making of a Violin, The Un-Making of a Typewriter, The Making of the Homobile and much, much more. And nearly 30,000 people joined us when The Making Of… went live at SFMOMA for three days, with 5 floors of the museum filled with the makers from across our community. While The Making Of… stories will no longer be airing on KQED, this blog remains active and we will still be taking in stories. The easiest way to submit your story is through Zeega. Visit the Studio page to learn how and to see some of the Zeegas that have already been made for this project. 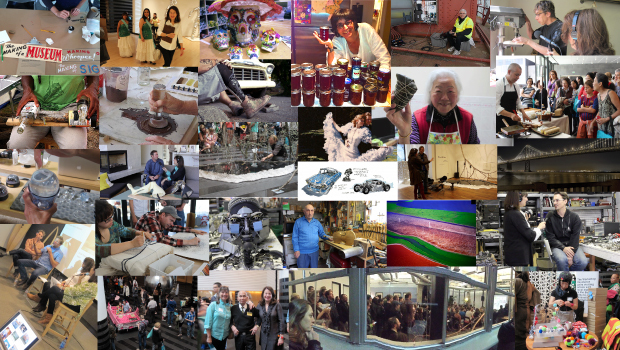 It’s been a pleasure and an honor to know the Bay Area further through what people make here and why. And why it matters.